KUALA LUMPUR: The world’s first Global Halal Data Pool offers massive trade opportunities for halal products and services providers, especially when it connects to the global data syncronisation network in August. Serunai Commerce Sdn Bhd Chief Executive Officer Amnah Shaari said in developing the platform it collaborated with the GS1 Council in Brussels, producer of 95% of global barcodes, which also runs the global data syncronisation network. “There are already 34 data pools worldwide, with 1.4 million traders and 30,000 major retailers like Harrods, Disneyland and Walmart. Come August, the companies registered with us are able to trade with these companies with ease. “Furthermore, the barcode tagging also provides halal traceability whereby potential buyers are able to trace which halal certification body certified the product, along with other product information,” she told reporters after speaking at a dialogue between the National Chamber of Commerce and Industry of Malaysia and Thailand Muslim Trade Association. Serunai Commerce, currently working with over 200 halal certification bodies, would act as the live verification centre for halal products and services using the Global Trade Item Number, as specified by the GS1 attributes. The availability of the product information would widen the opportunity for international trade as the European Union, the United States, Canada, Australia and New Zealand prohibits online trading without these data. 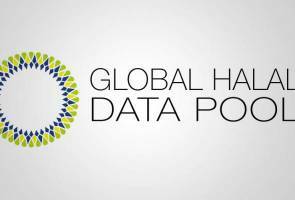 Amnah said the Gobal Halal Data Pool, an imitative by the Halal Industry Development Board, gathered over 100 companies since it was launched in December last year, and she expected the number to increase to 500 by year-end. She said among supporting organisations were SME Corp, Department of Islamic Development Malaysia and Department of Standards Malaysia. “We urge SMEs to be on board with the programme as SME Corp, under its business acceleration programme, will finance up to 40% of the registration fee.